The Egyptians are believed to have used a paste to clean their teeth and freshen their breath in about 5000BC, and in 3000BC they rubbed thin sticks with frayed edges against their teeth. 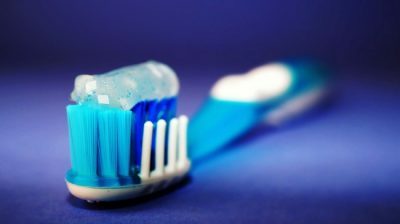 The Greeks and Romans cleaned their teeth with a paste made from powdered eggshell, ash and pumice, and the Chinese and Indians used toothbrushes from about 500BC. Until about 1850, toothpastes were usually powders, but in 1873 Colgate began to mass-produce toothpaste in jars. Then in the1890s they introduced the first toothpaste in a tube. The Chinese made the first toothbrush in 1498 with hogs’ hair bristles and bone or bamboo handles. Then nylon bristles were developed and the game changed. 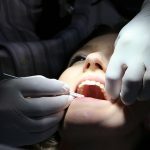 Most dentists suggest electric toothbrushes or, if you prefer a manual toothbrush, one with rounded soft bristles and a head that fits in your mouth comfortably and can reach all your teeth. A toothbrush with a small head gets to back teeth better. It should be thoroughly rinsed after use and kept upright in a dry place. 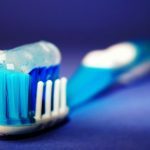 Change your toothbrush every few months — as soon as the bristles start to splay or fray — or if you have been ill. Try to brush at a 45-degree angle. Overbrushing with a hard toothbrush can damage gums and even enamel. This is called toothbrush abrasion. Brushing for two minutes two or three times a day is recommended. Toothpaste is slightly more abrasive than gel. 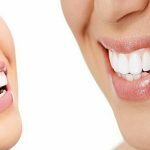 It should contain fluoride and advertise itself as fighting plaque and cavities, gingivitis and bad breath as well as whitening teeth. Triclosan kills germs and harmful bacteria and has been proven to prevent gum disease. But brushing your teeth too soon after eating can damage them, and mouthwash containing fluoride should not be used straight after brushing one’s teeth, so it is better to brush before a meal and rinse with water afterwards. 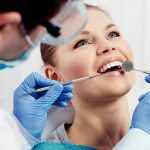 Studies show that 30 per cent of the population may be vulnerable to gum disease, no matter how well they look after their teeth. Gargling with peppermint oil or diluted clove or orange oil gets rid of bacteria and stops bad breath, but nothing is as good for you as regular visits to the dentist. Call Eumundi Dental today!